This is the time of the year that I find myself truly missing New Hampshire/New England. The leaves changing, the crisp smell of fall on the brisk mornings, the monarch butterflies that my kids spent hours pulling from milkweed plants and jarring so we could watch them transform into beautiful butterflies. Mostly, this is the time of year when I could dig out my sweaters and bluejeans on a more consistant basis, yet still have those days where summer is in the air and the sun warms the bones. Here in Alabama, we are far from sweater weather and the heat still melts the bones as soon as you step into the humid soup bowl and the fall tornado warnings are just beginning. I’m having New England withdrawls, sigh….BUT time to get past that because no matter where my family is it’s still PUMPKIN SEASON! We were on a family outing to target this weekend and discovered that the pumpkin spice lattes are officially out! Delicious as ever. So that triggered my pumpkin frenzy and the first batch of my delicious pumpkin bars were made last night, with tornado sirens and all going off in the background, nothing was stopping me! 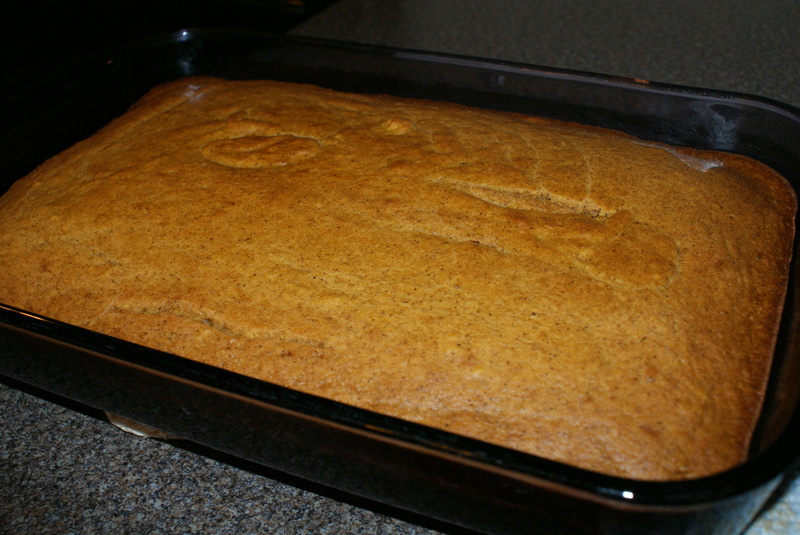 These pumpkin bars are to DIE FOR!!!! They are like moist silky spice infused Heaven sliding into the tummy making instant happiness and bliss! 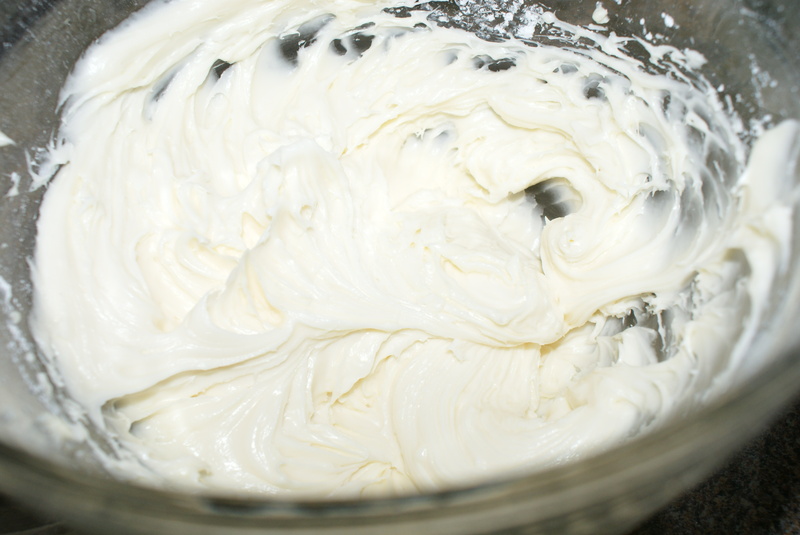 Of course the cream cheese frosting is just as delicious. 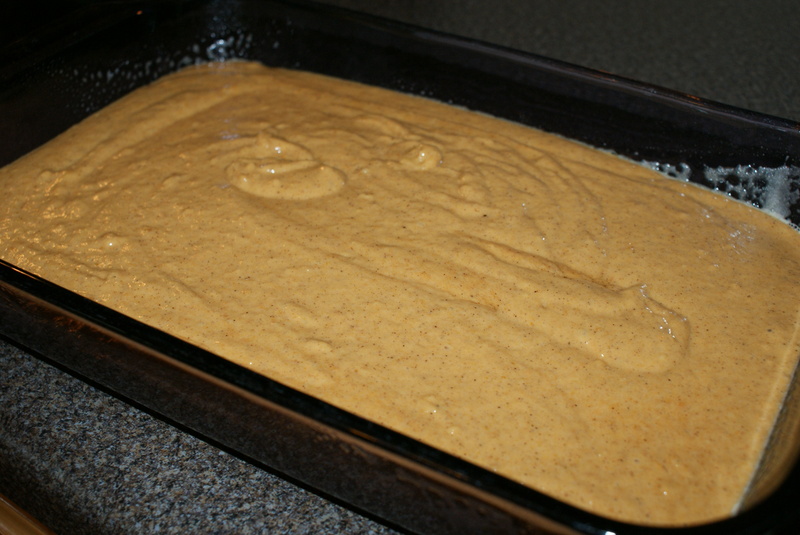 Here is the recipe because I want everyone who loves pumpkin as much as my family does to enjoy this treat! Preheat the oven to 350. Mix all ingredients together. 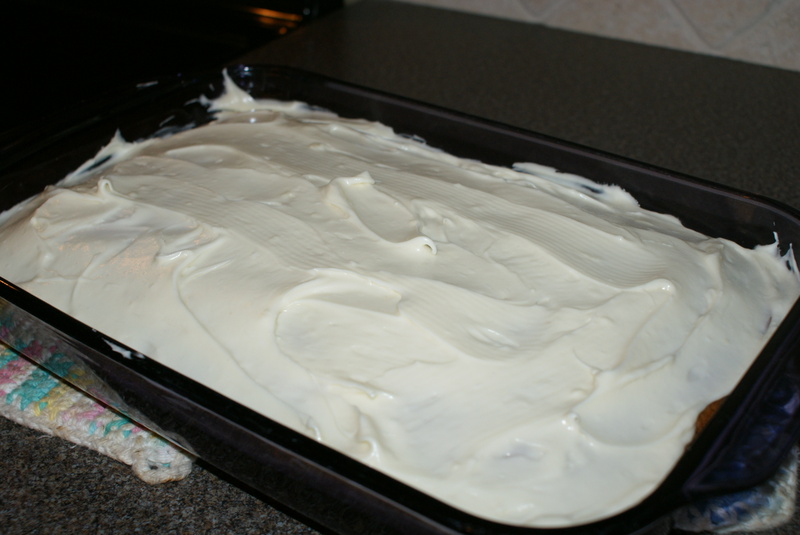 Pour into greased pan and bake @ 350 for 30-40 minutes, being careful to not over bake so they stay moist. Cool and frost. Enjoy this treat and I always love to hear what you think! I LOVE pumpkin! Thanks for sharing. Always the BEST, I guild the lily though and double the frosting, lol, so yummy ,thank goodness they are usually for work 🙂 ! Rach, I have been making more frosting too the last few times I’ve made them, it’s better having extra frosting!! I already warned my neighbor they are inheriting some of them so I can get them out of my house! Still have zukes coming out my ears !!! Have you shared your Chocolate Zucchini Cake yet !? I am pretty sure I did recently put that cake on, that is one of the best recipes ever!!! I am going to check and make sure it’s on here! Looks and sounds delicious! I’ve been going pumpkin crazy this year! Thanks for sharing! Thank you! These are one of my all time favorite fall desserts! Glad to know I’m not alone in the pumpkin crazy department, but isn’t it the best!? YUM! I really want to try these this weekend! 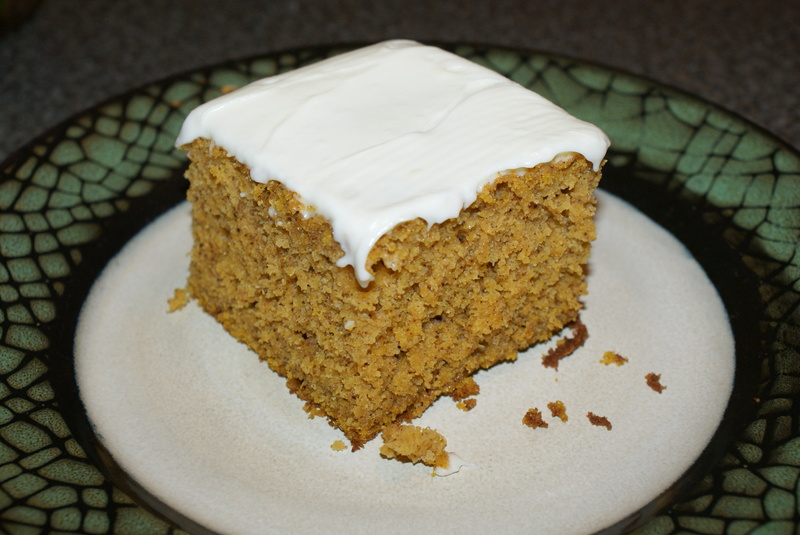 Pumpkin and cream cheese frosting… There is no greater combo! Thank you and I agree!! Pumpkin and Cream Cheese and Chocolate and Peanut Butter are my favorite flavors together!